On Presidents Day evening,the Grammy Awards association aired a television special on CBS featuring contemporary artists,many of them award winners themselves,in order to pay tribute to Mister Stevie Wonder. Not only was this a tribute to an artist I completely admire creatively. But someone who won awards and earned his success and fortune through the true innovation of sound. It was an event filled with many surprises. And today I would like to talk about what I saw,sung,laughed and danced to watching that night right along with so much of America! 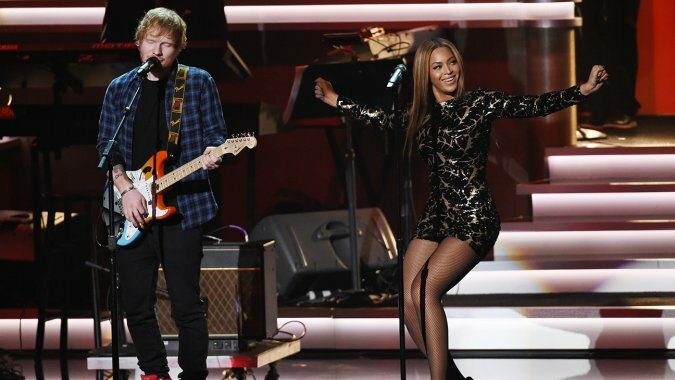 The evening began with Beyonce performing a medley of Stevie’s first hit “Fingertips” and “Master Blaster” joined by guitar player Ed Sheeran. The highlight of this intro was from the guitarist Gary Clark Jr,who played a rocking blues electric guitar solo on a rendition of “Higher Ground”. 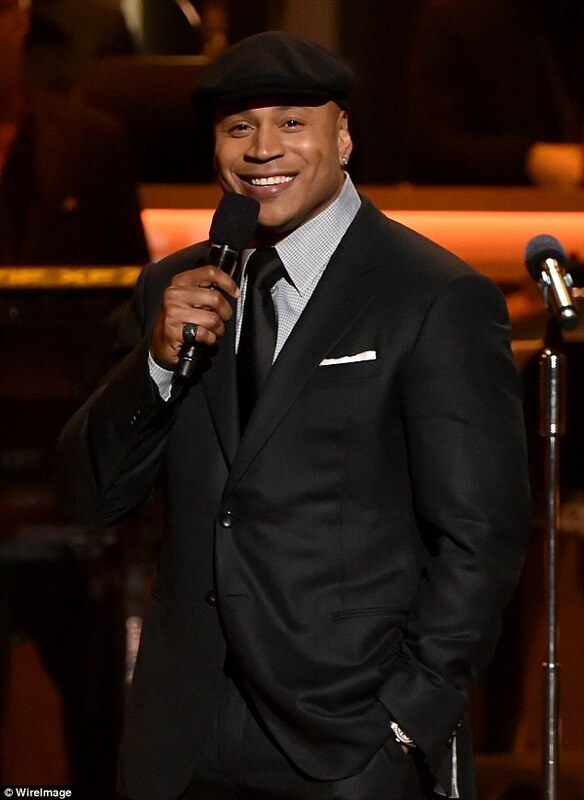 LL Cool J was of course MC’ing the entire affair as he has the previous two Grammy Award ceremonies. He began by talking about Stevie Wonder’s effect on his life-as many of the artist this night did. Wonder was visibly moved to tears by this level of affection for his art. Towards the end of the special,LL asked the audience all over the world to close our eyes for a moment to contemplate the level of vision Wonder projects into his music. A very meaningful gesture. Lady Gaga’s performance of “I Wish” moved me perhaps the most on this special. Playing the Fender Rhodes electric piano with the help of keyboard maestro (and former Wonderlove member) Greg Phillinganes, Gaga was moved to move rhythmically to the music as Phillinganes took over the keyboard soloing. Not only was this a pronounced celebration of the instrumental ability of an artist mainly acknowledged as a performer. But was a pretext to a beautiful shout out and citation to the often very unsung talent of Greg Phillinganes himself-especially as a participant in Stevie’s ascent into iconic status in music. Annie Lennox took on “My Cherie Amour”,vocally taking on a full bodied understanding of the emotional juxtaposition between passion,flirtatiousness and awkwardness expressed in this song. 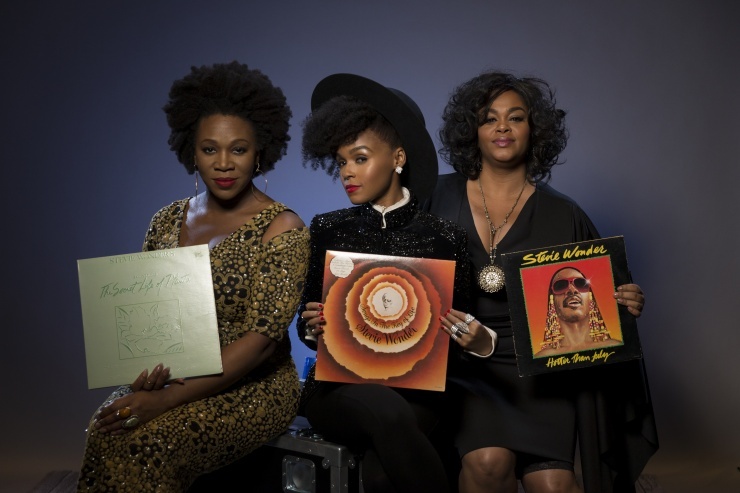 Jill Scott,Janelle Monae and India Arie-pictured at the top of this blog paying tribute to their favorite Stevie Wonder albums,gave a truly powerful group duet of the song “As”. Not only did they successfully pay tribute as presenter Mary Wilson indicated of the classic girl group dynamic? But each of them took a try at imitating Stevie’s famous growled vocal bridge of the song. 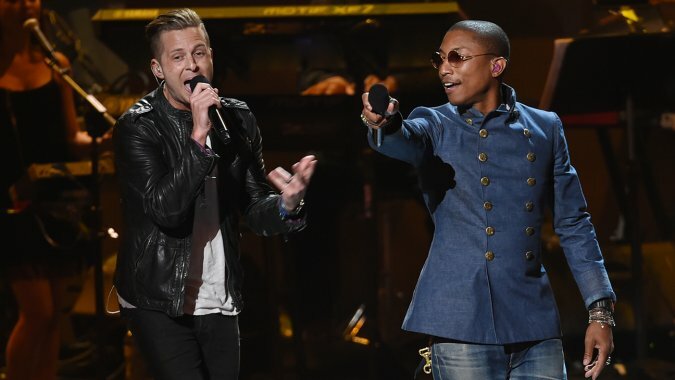 Pharrell Williams and Ryan Tedder did a spirited duet version of “Don’t You Worry ‘Bout A Thing”-pointing out that often a song intended as a singular expression by an individual can be reflected by two as well. Jennifer Hudson bought her powerful gospel fueled pipes to a passionate take on the renowned ballad “All In Love Is Fair”. She maintained the flavor of the song as a secularized romantic hymn until the very last note was sung. Stevie’s daughter Aisha joins Ne-Yo in a duet of “Isn’t She Lovely”-essentially paying it forward to her fathers musical tribute to her birth. 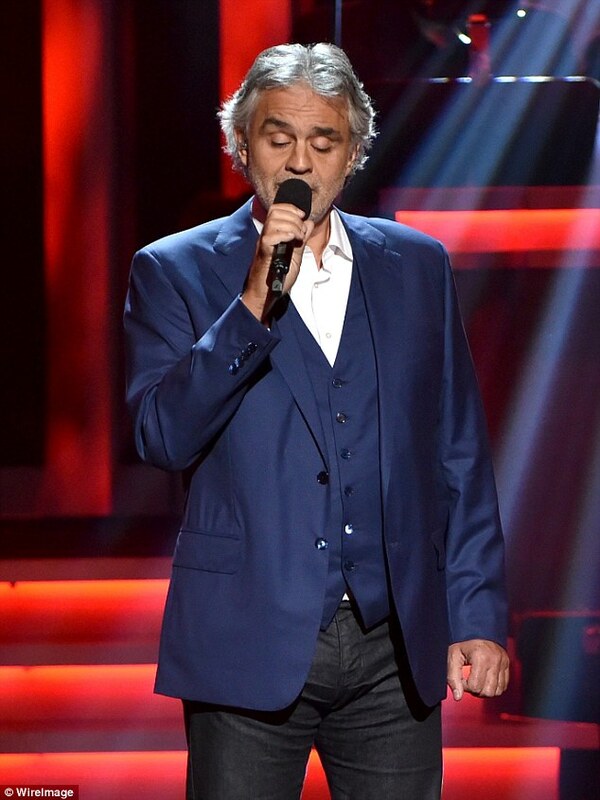 Andrea Bocelli shares physical blindness in common with Stevie Wonder and for this particular occasion? He gives his own vocally expression rendition of “I Just Called To Say I Love You”. Ed Sheeran did an acapella/guitar rendition of “I Was Made To Love Her” showcasing Wonder’s talents as a multi instrumentalist. Relative newcomer Ariana Grande performed “Signed Sealed and Delivered” in an acoustic bluesy soul flavored rendition with Babyface performing the vocal duet and playing acoustic guitar in accompaniment. Another example of a song intended from one person’s point of view-this time taken from a male/female dynamic. Overall this was a very impressive tribute. All of the participants did something totally unexpected with Wonder’s songs. And most importantly? There was a great deal of understanding of the man’s musical visions from them as well. Paul McCartney made a brief guest appearance sharing personal reminiscences of knowing “Little Stevie” as a teenager. And perhaps Tony Bennett before his performance of “For Once In My Life” said one key artistic point-that Stevie Wonder’s vocal and compositional spontaneity made him one of the best jazz artist Tony’d ever heard. Perhaps the best observations came from Stevie Wonder himself. Having been cited for his often unsung importance as the public consciousness of the crusade to make Martin Luther King Jrs birthday a national holiday in 1980? Stevie played a medley of his fusion instrumental “Contusion” and “Sir Duke”. He than spoke to the audience about how the only way humanity could deal with it’s present cultural clashes would be to come together with our differences,not use them as a wedge. The fact Stevie’s views on humanitarianism have remained consistent throughout the years says the most important thing about the interconnection between this man and his musical offerings.